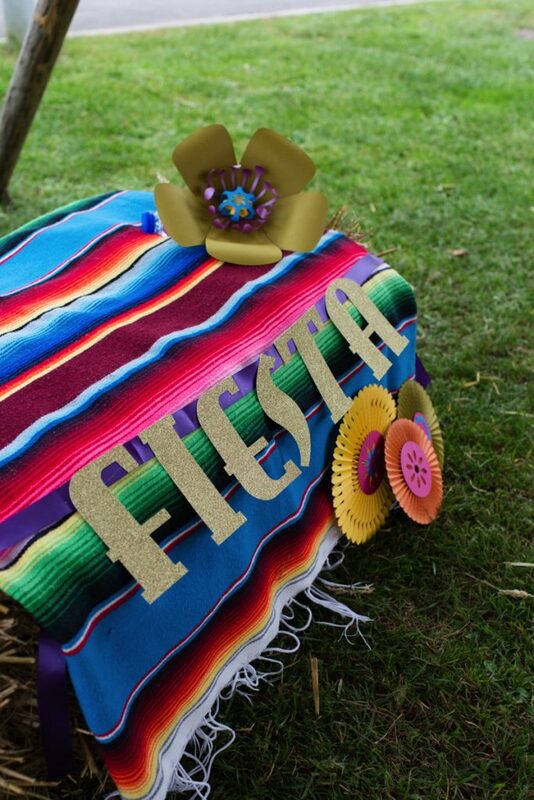 Fiesta Fever with World Inspired Tents! 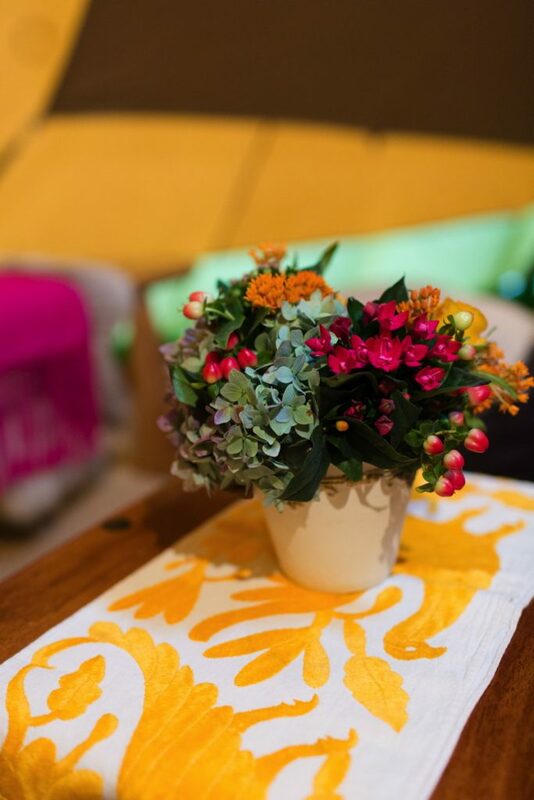 Images by Sarah Lauren Photography. 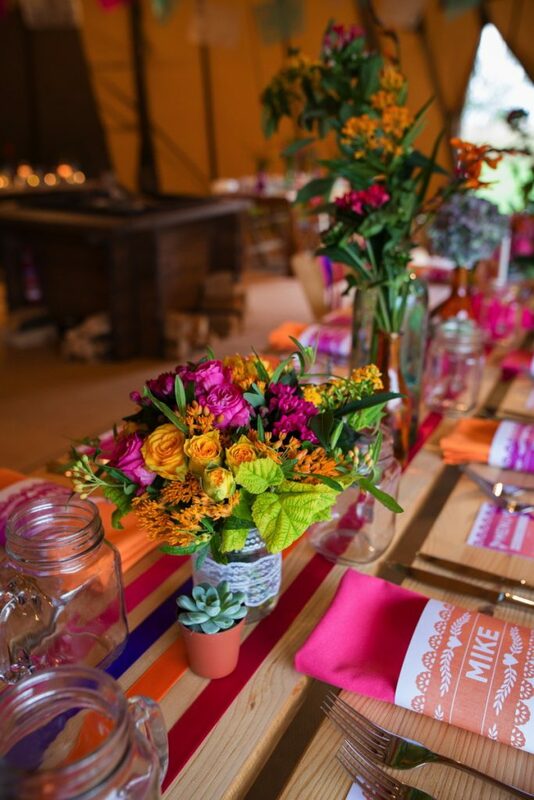 Injecting some heat into this Monday, we have a colourful styled shoot treat from an incredible team of wedding suppliers! 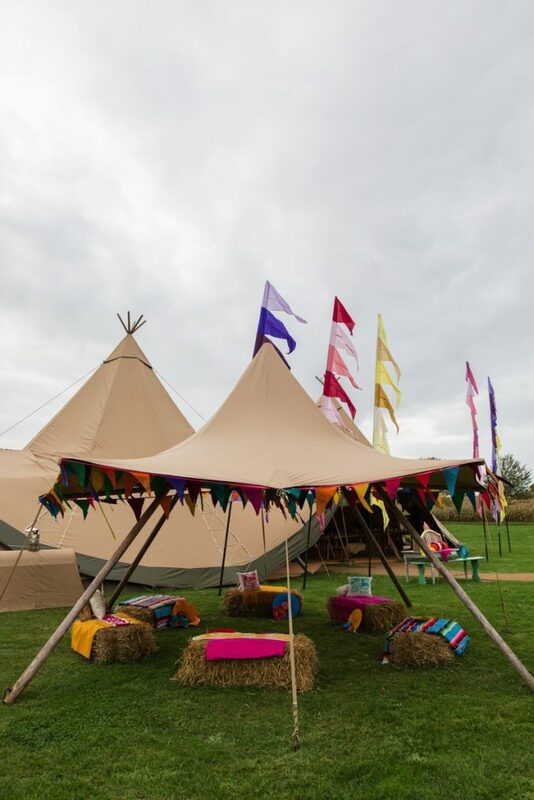 This fun, bright and Fiesta-inspired creation centres around the magnificent tipi spaces provided by World Inspired Tents. 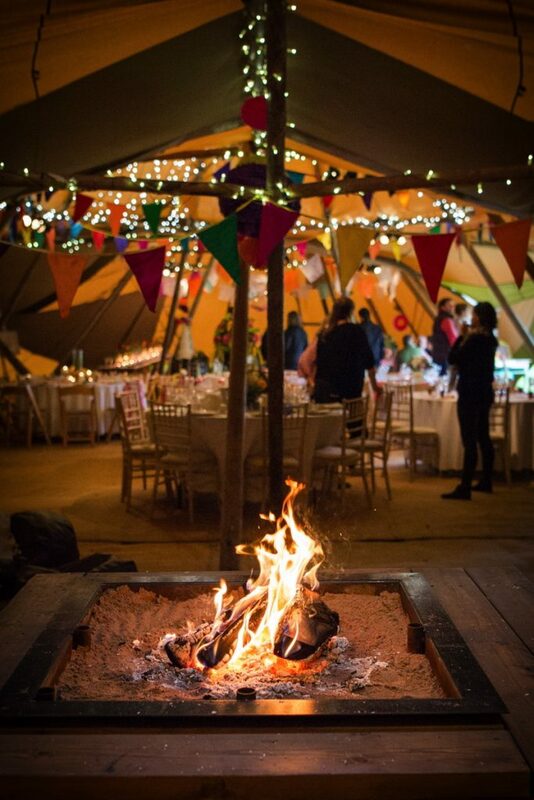 Twice a year we pitch four tipis for our spring and autumn Open Weekends, where brides and grooms come and see the tipis in all their glory. 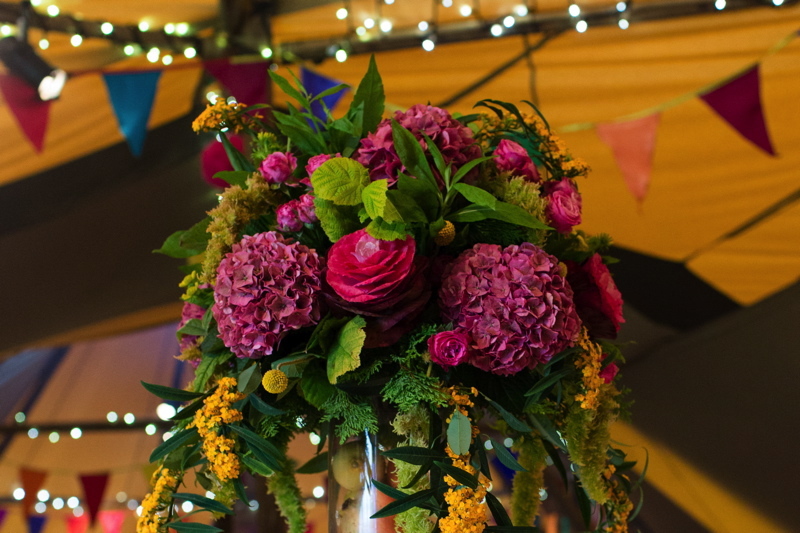 We are helped by brilliant stylists, florists and makers of all sorts of wedding-y loveliness, who make sure everything is looking its best. 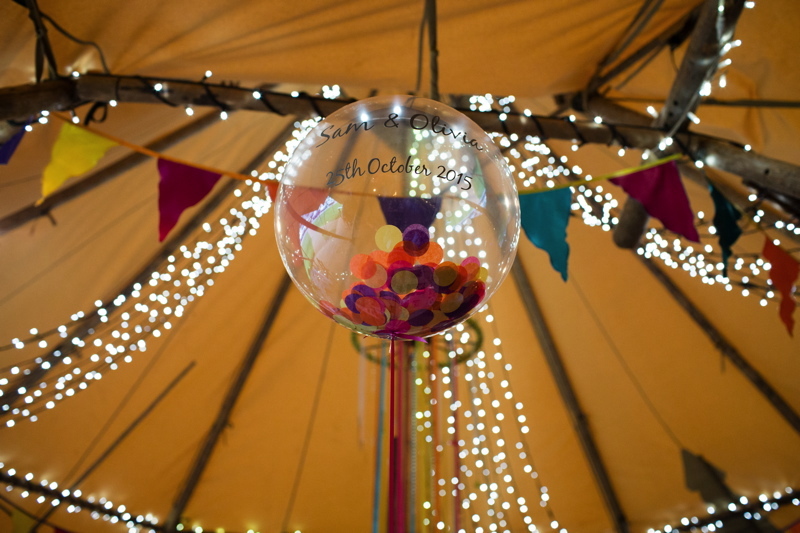 The styling theme of each Open Weekend is developed through idea sharing between stylists and our events team (who spend most of their working days talking to our brides and grooms). 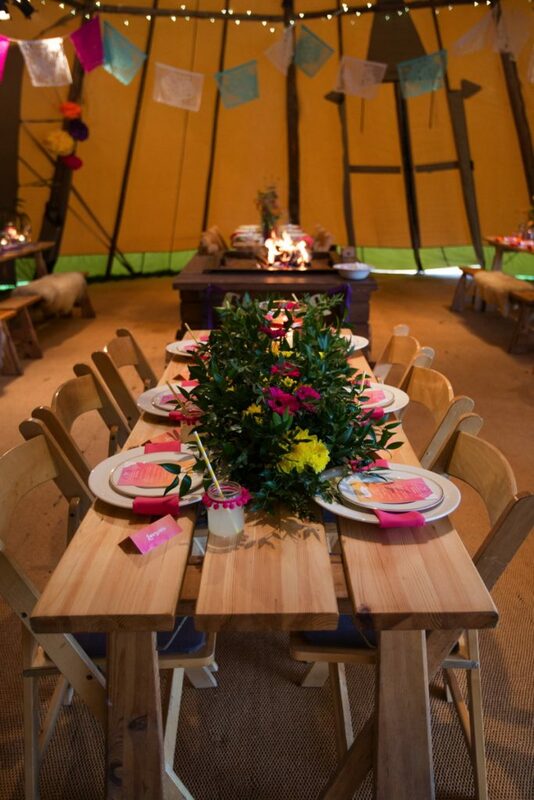 We look for ideas that reflect current trends and work well with the tipis’ natural beauty. 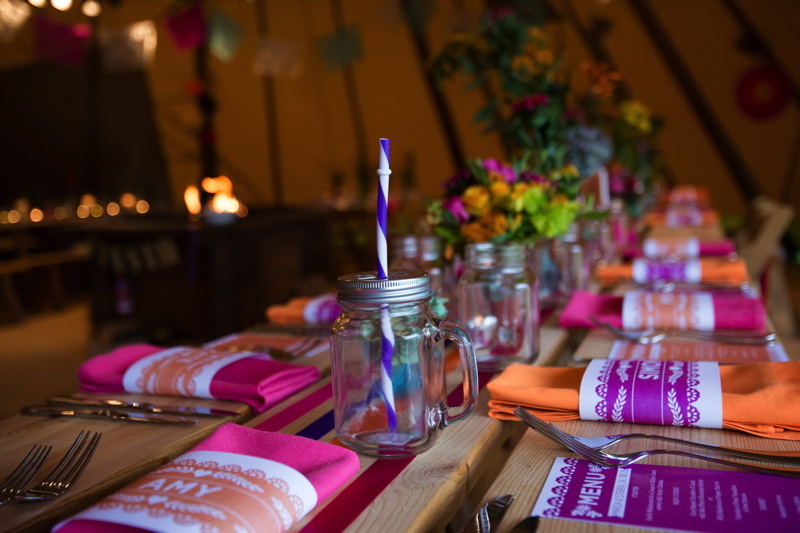 Once the tipis are dressed to perfection, we take the opportunity to make the most of the hard work and get some lovely images, the latest of which are these bright beauties! 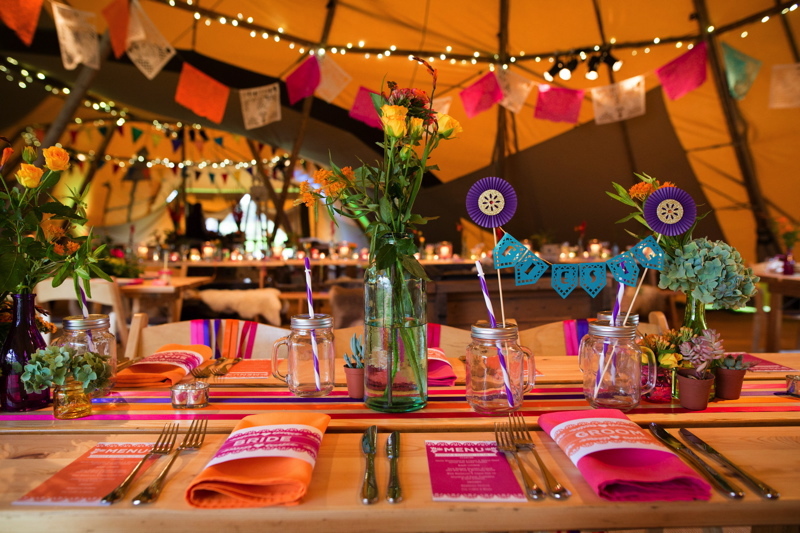 When we were sharing ideas for this shoot, the ongoing popularity of ‘festival style’ informal weddings among our customers was discussed, as was the power of bright colours in the tipis. 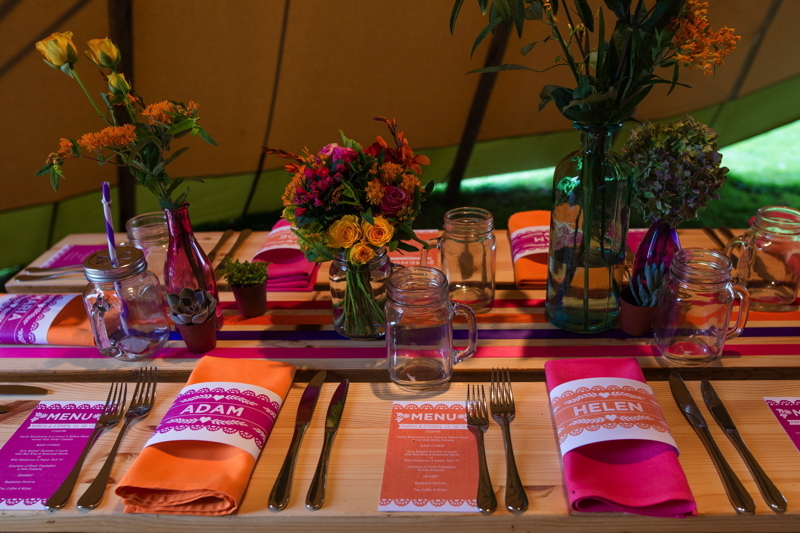 We wanted a look that packed a punch, and the idea of the Fiesta theme felt like a good evolution of the ever-popular festival styling. 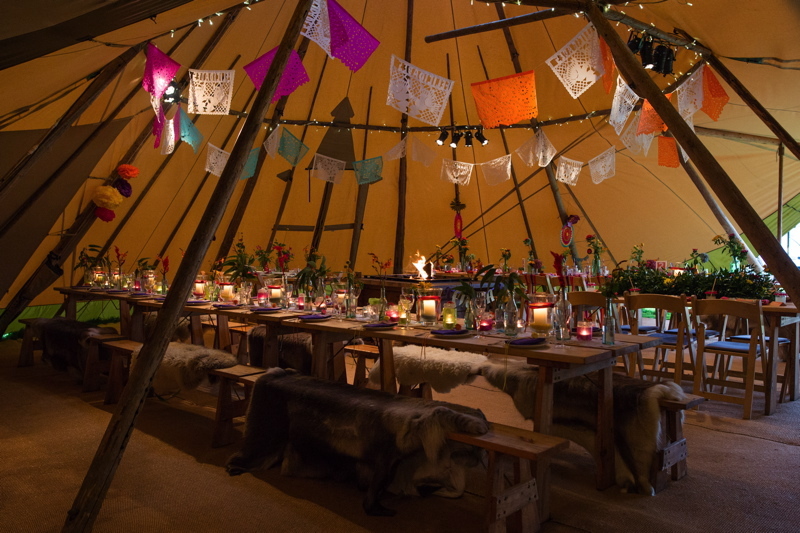 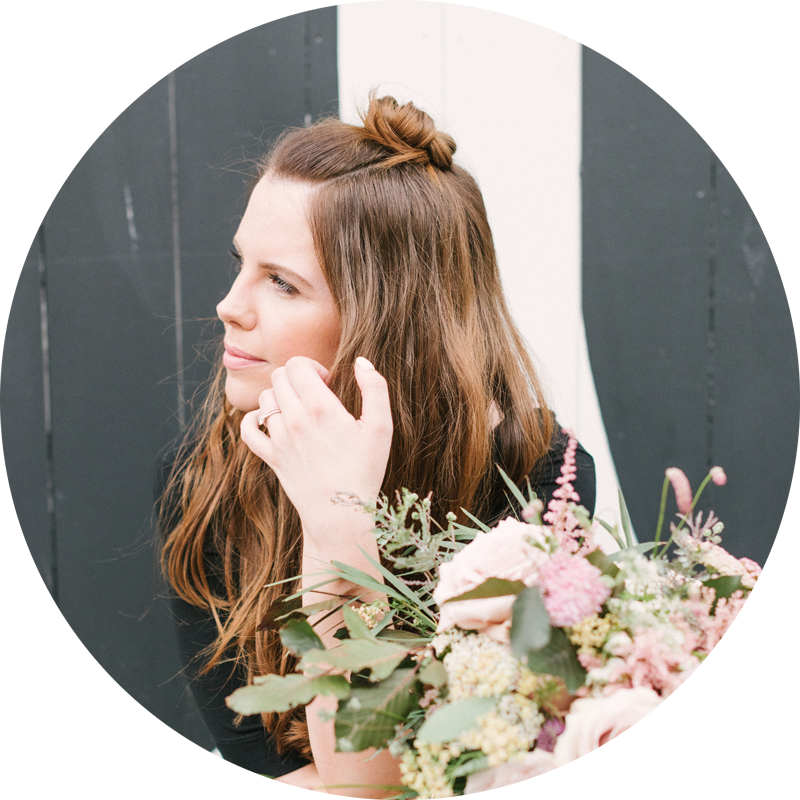 The wonderful Kirsten of The Little Wedding Helper and Nat from Meadowsweet Vintage shared the tipi styling, brought ideas together and coordinated suppliers. 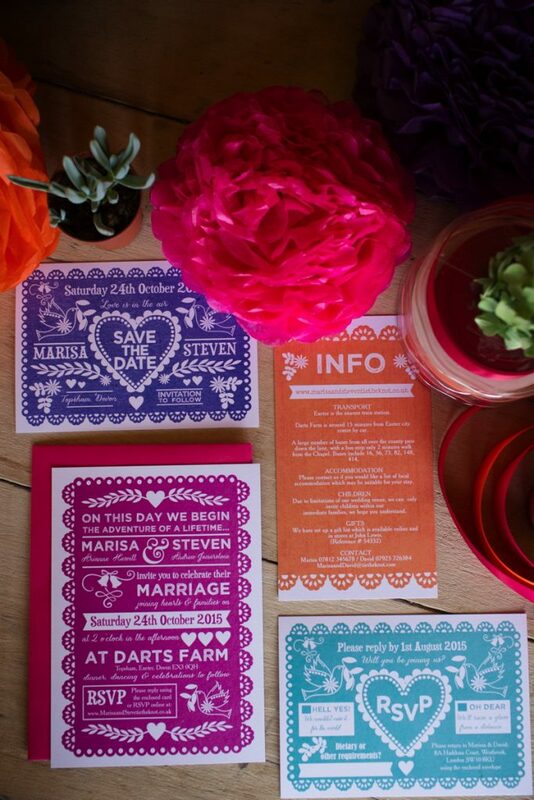 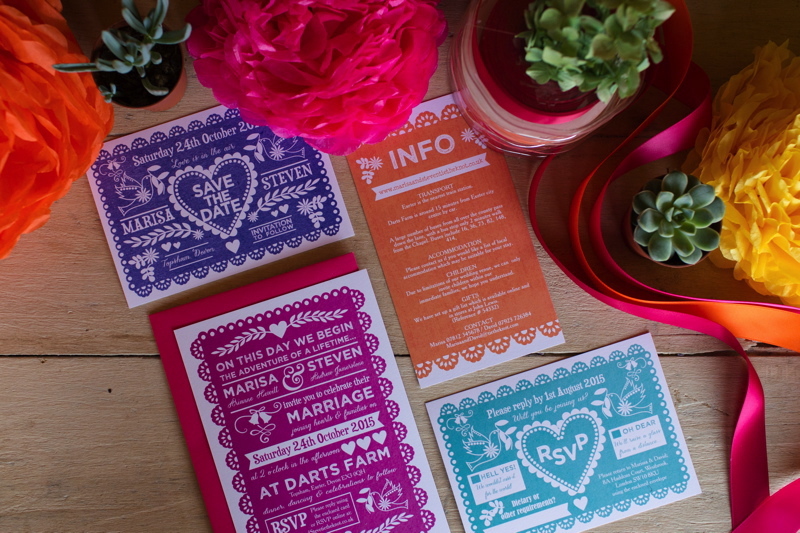 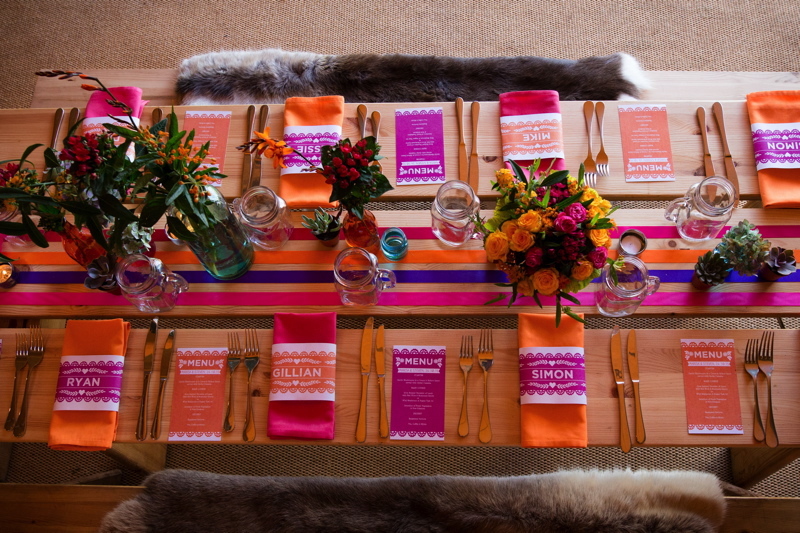 We used a whole spectrum of colours, although bright orange and fuchsia pink were at the heart of most of the styling. 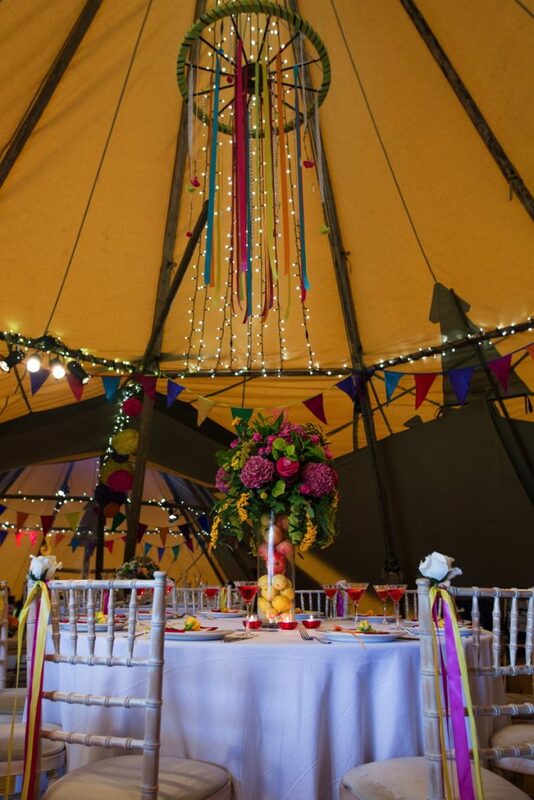 Flashes of yellow, purples, turquoise and greens were added, and basically it became a bit of a rainbow inside and outside the tipis! 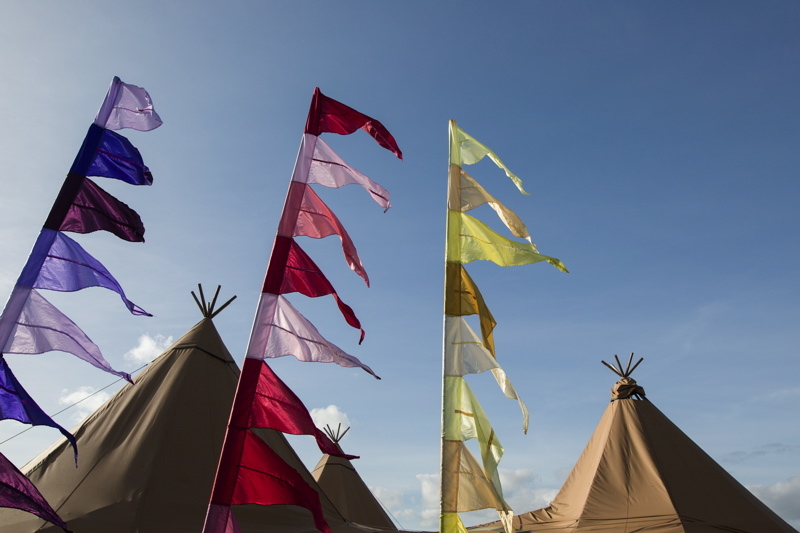 The Event Flag Hire Company provided the feather flags and silk bunting for the exterior, which set the show! 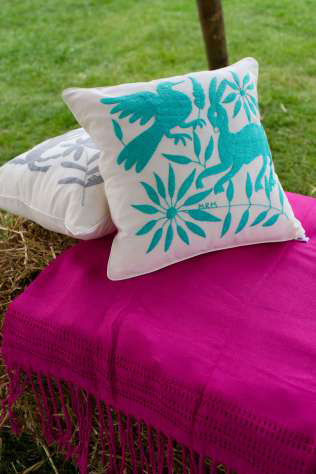 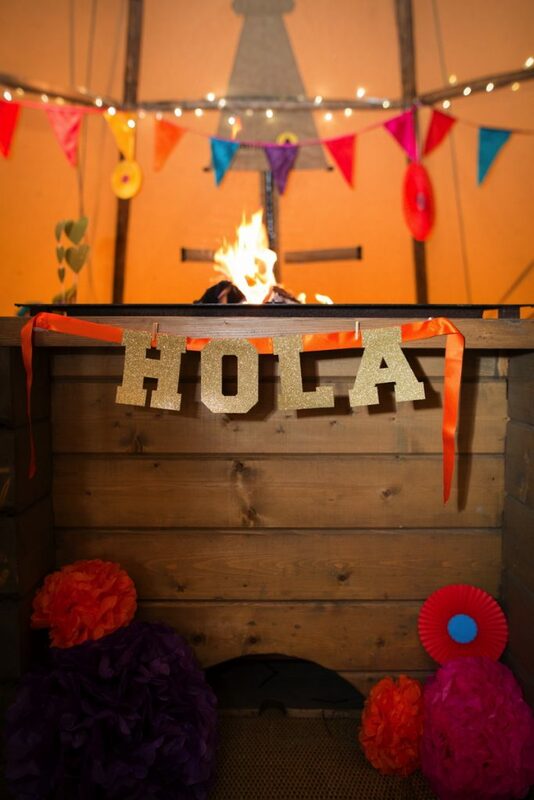 Our ‘Little Hat’ tipi was also filled with gorgeous Mexican textiles provided by Chilpa, which were used to dress the hay bales. 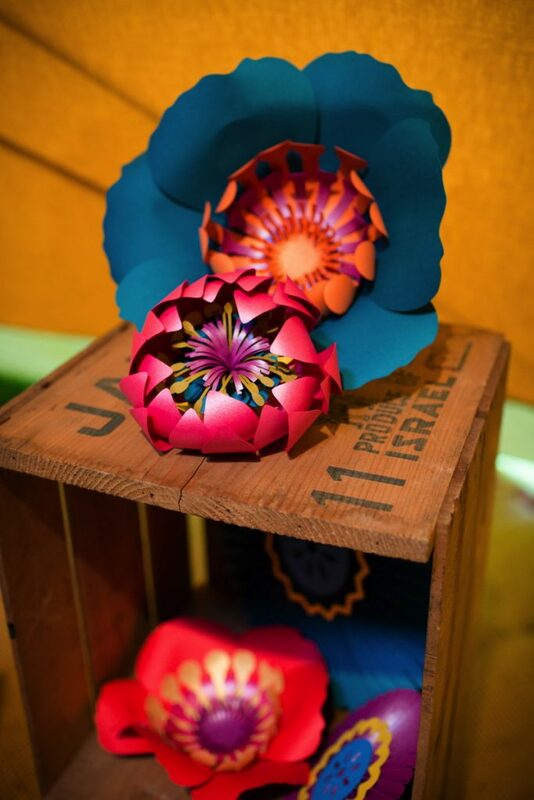 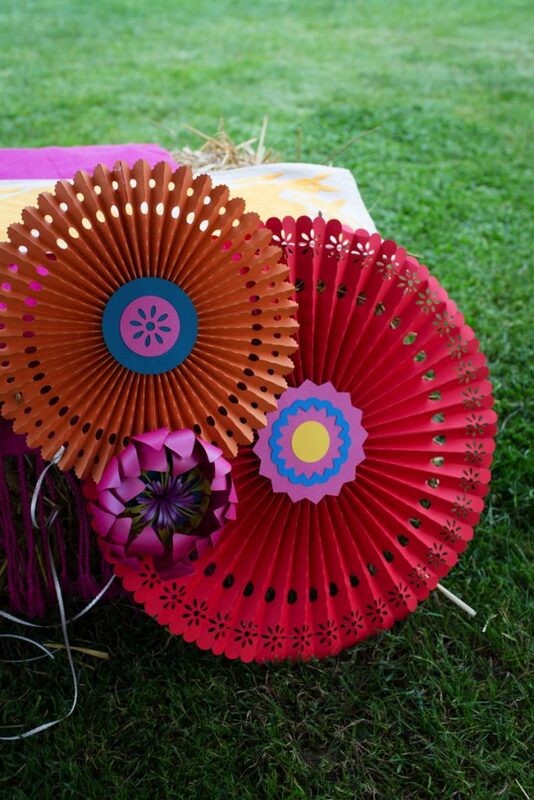 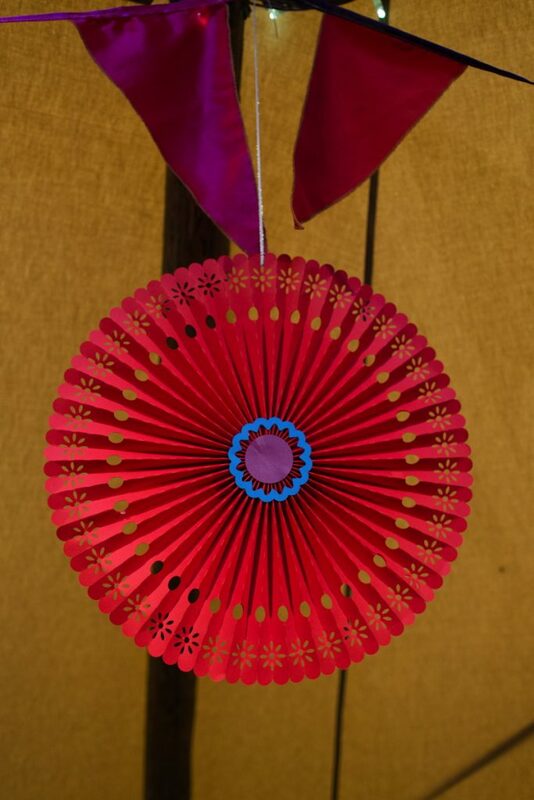 The super talented Things By Laura supplied the paper crafts, including flowers, pinwheels and banners. 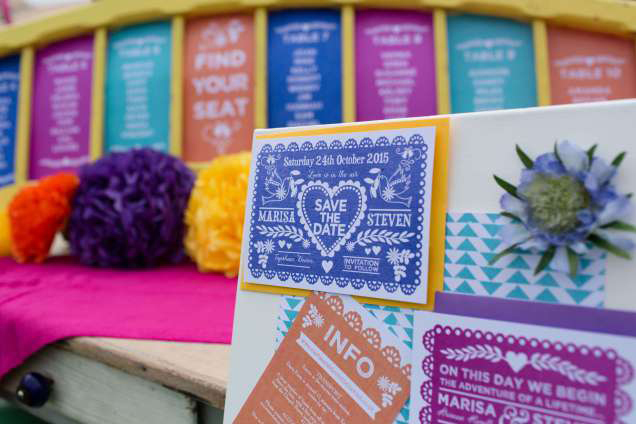 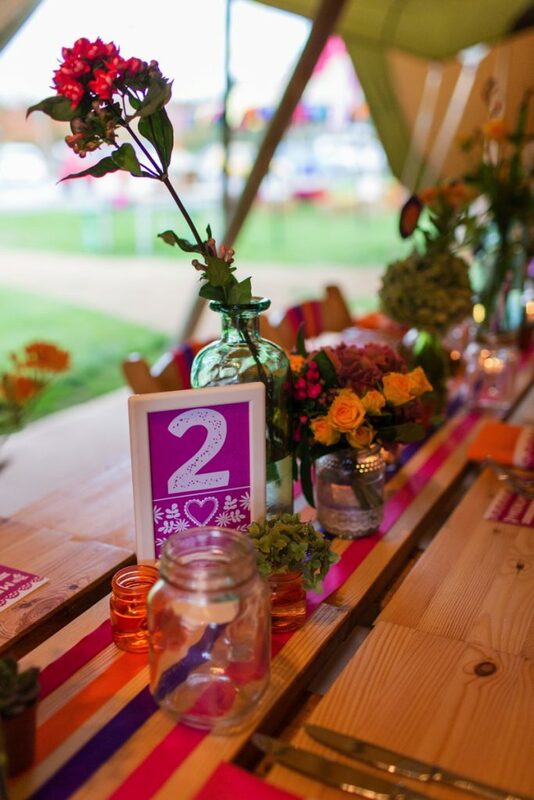 The vintage, brightly painted wooden furniture was provided by Virginia’s Vintage Hire and was styled by The Little Wedding Helper with Stationery from Hip Hip Hooray and pom poms from The Pom Pom Studio to create the show stopping seating plan – now that’s a collaboration! 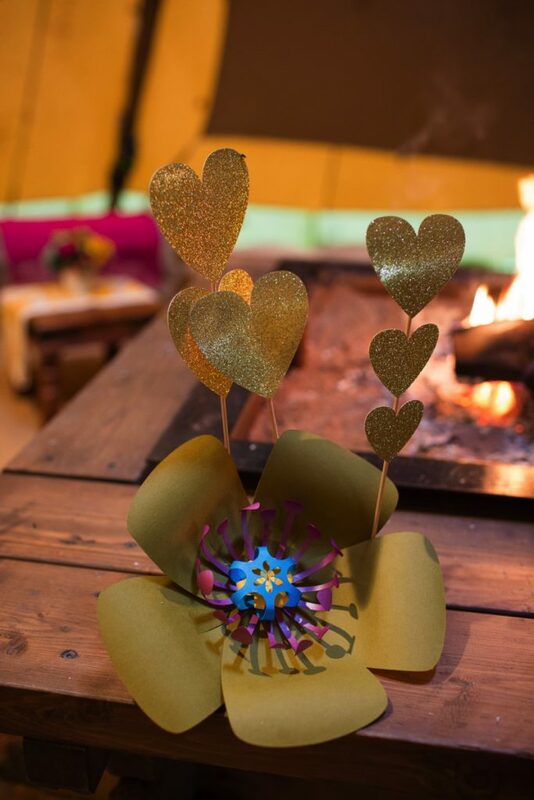 Our gorgeous ribbon and flower wagon wheel was created by Nat at Meadowsweet Vintage and provided a breathtaking aerial centerpiece! 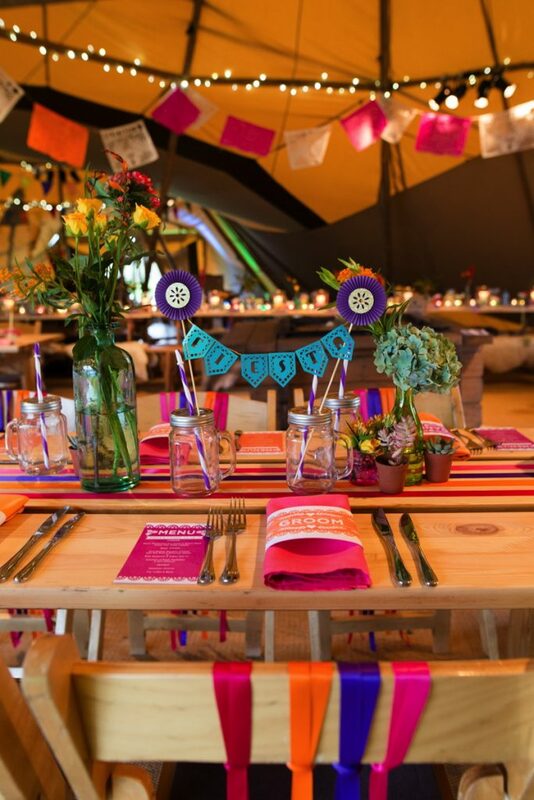 Nat and Kirsten each took care of their own tables, stationery from Silver Deer was used by Meadowsweet and The Little Wedding Helper used Hip Hip Hooray. 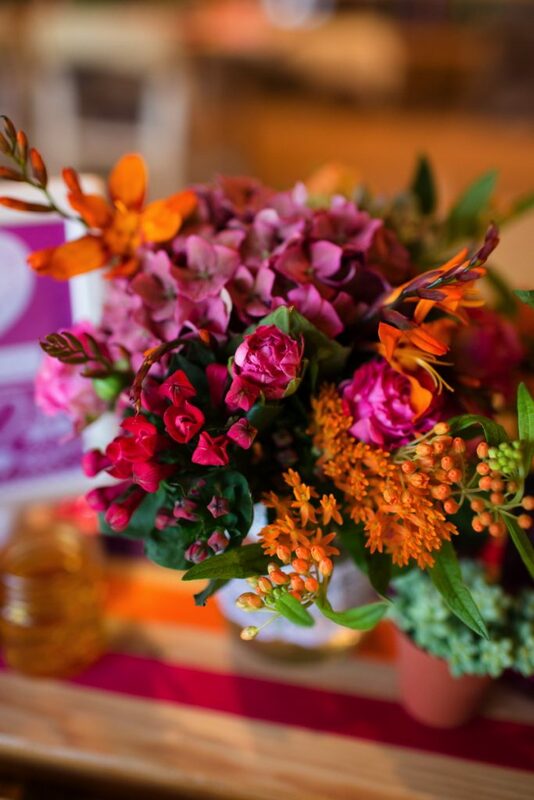 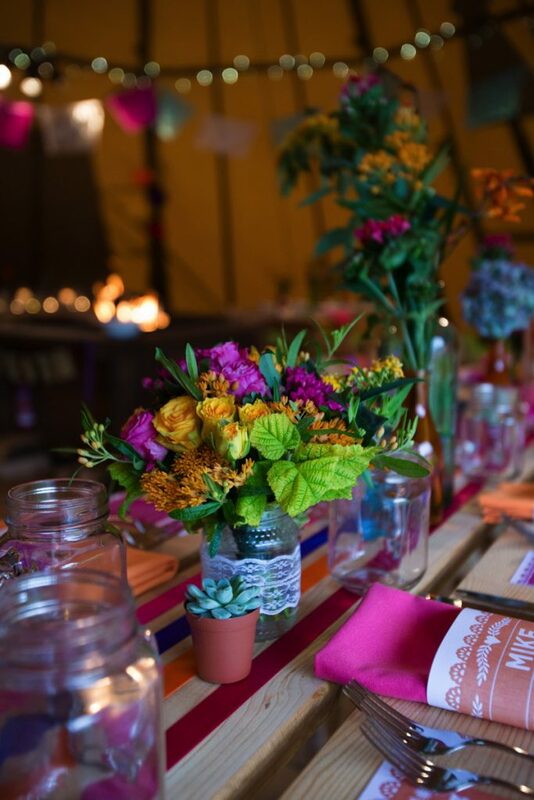 Tableware and coloured linen were provided South West Event Hire, and all the styling elements were brought to life with stunning floristry by Jess at West Dorset Wedding Flowers, and topped off with paper ‘Papel Picado’ Mexican bunting from Chilpa. 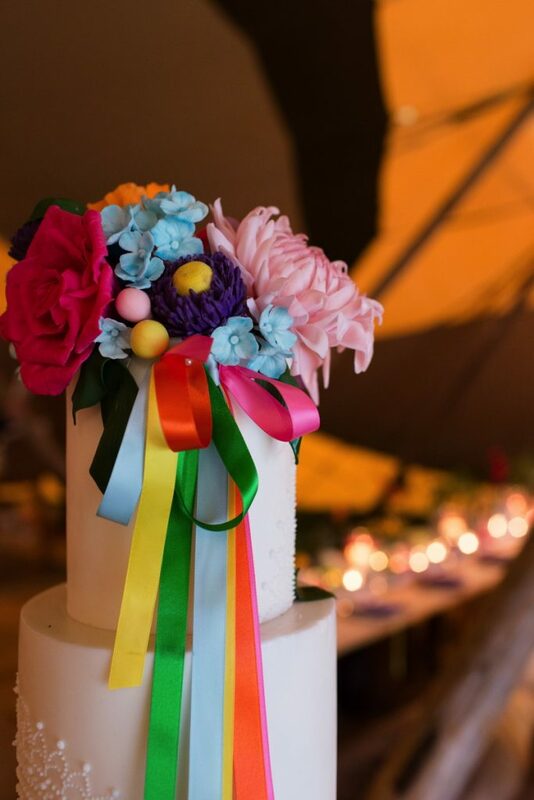 Jenny from Edibile Essence Couture Cake Co interpreted the Fiesta theme with a with a four-tiered cake, decorated with a hand piped lace design, topped with intricate sugar flowers (including a Dahlia with 300 hand made petals! 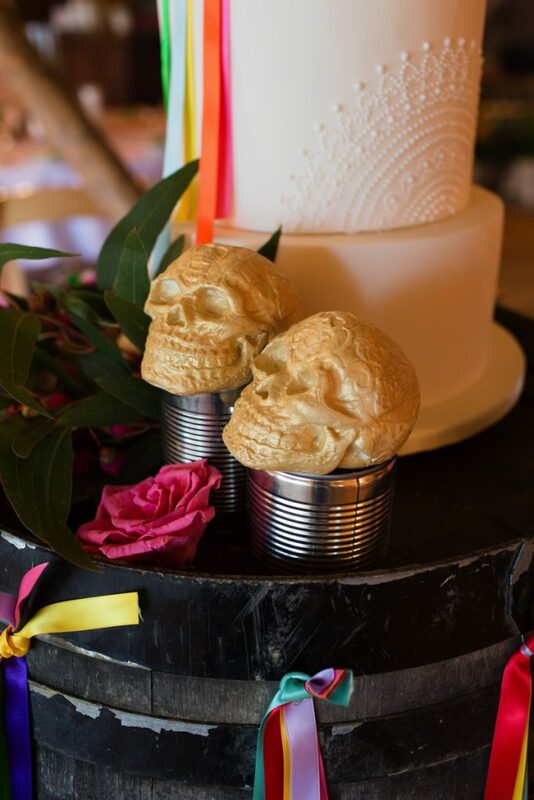 ), and finished off with gold sugar skulls for a ‘Day of the Dead’ touch! 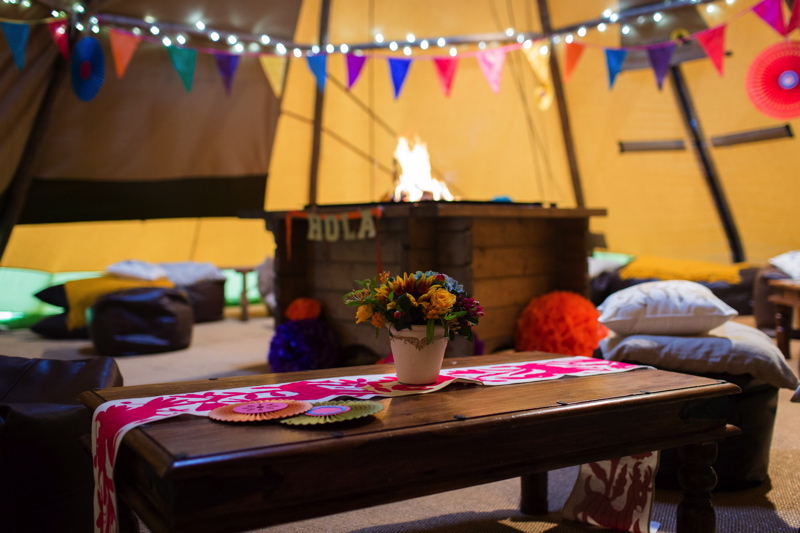 Our ‘chill-out’ tipi was adorned with more vibrant Mexican textiles from Chilpa, paper flowers and signs from Things by Laura, vivid silk bunting from The Event Flag Hire Company, and pompoms from The Pom Pom Studio. 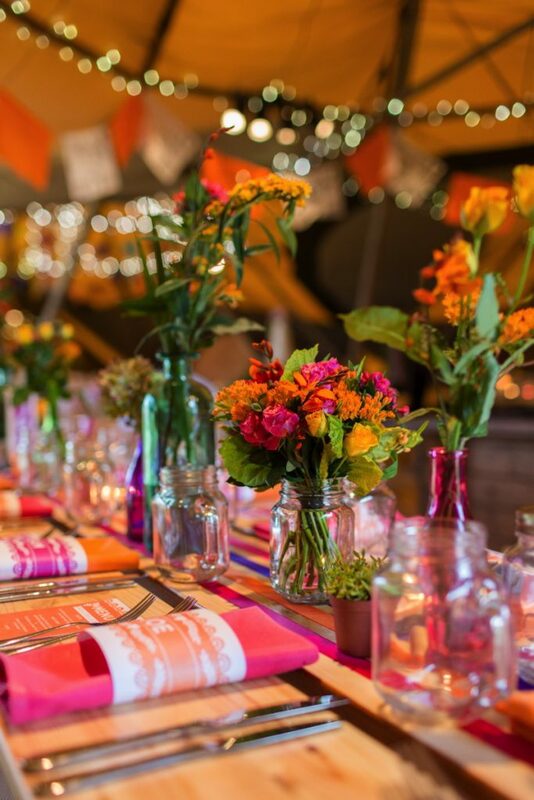 Venue World Inspired Tents | Photography Sarah Lauren Photography | Styling The Little Wedding Helper & Meadowsweet Vintage | Flowers West Dorset Wedding Flowers | Cake Edible Essence Couture Cake Co | Tableware South West Event Hire | Mexican Textiles & Papel Picado bunting Chilpa | Bespoke handmade card pinwheels & giant flowers Things By Laura | Feather flags & coloured silk bunting The Event Flag Hire Company | Pom poms & bubble balloon Pom Pom Studio | Vintage coloured furniture (seating plan) Virginia’s Vintage Hire | Stationery Hip Hip Hooray & Silver Deer. 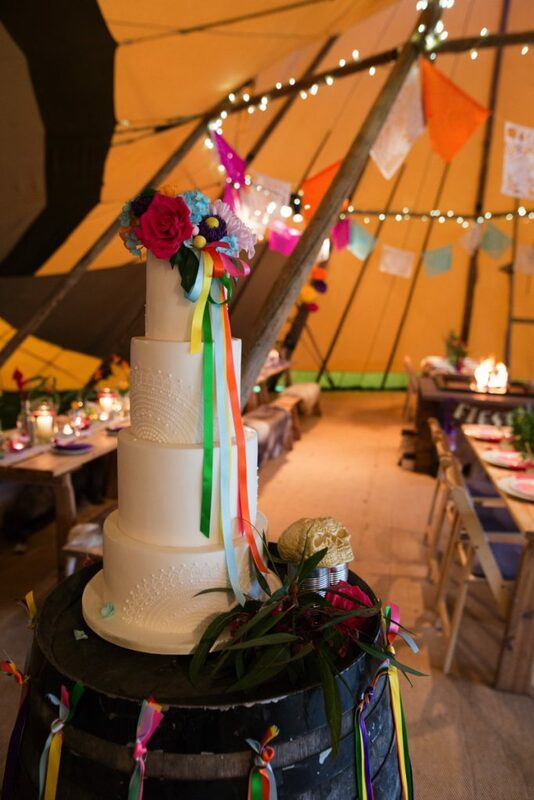 If you fancy interpreting this shoot for your own big day then collect all the ribbons, coloured glass, tea lights and bright fabrics that you can, and embrace the ‘more is more’ approach! 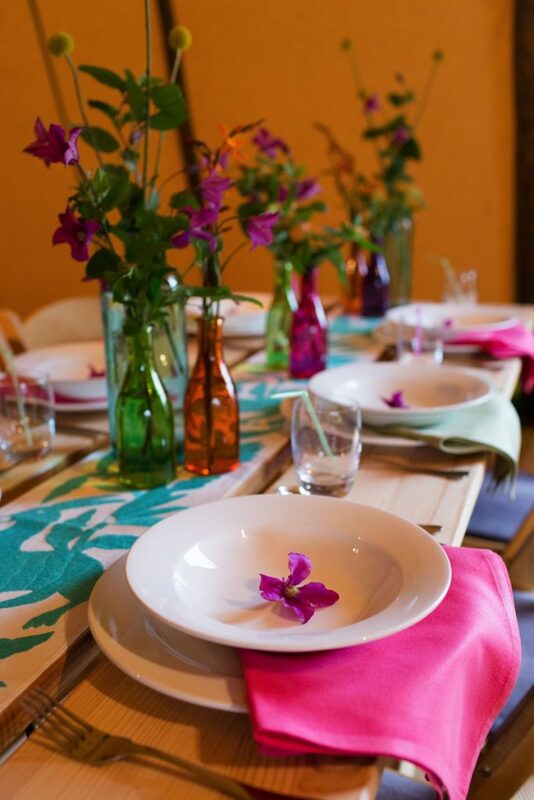 There is a wildness to this theme which allows you to layer colours, textures and materials without too much concern about things clashing! 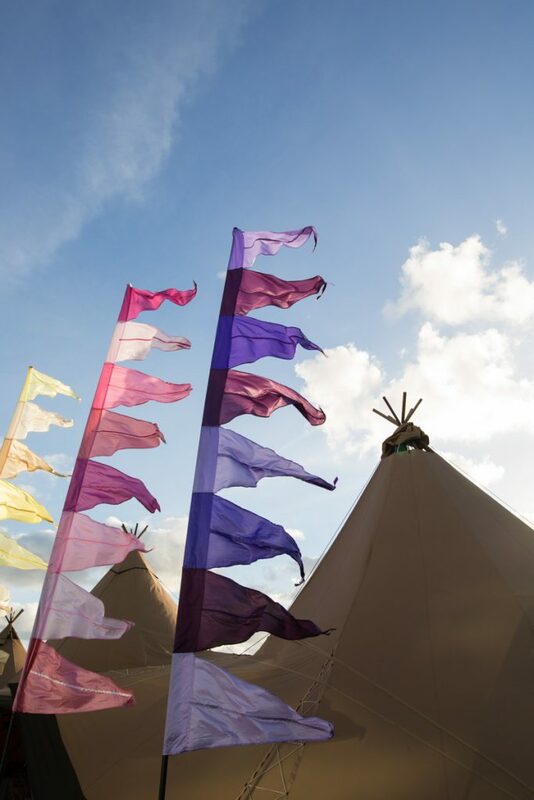 We simply adore the crafty team behind this shoot and of course you can find all their details in the credits, so get clicking to discover your own festival team! 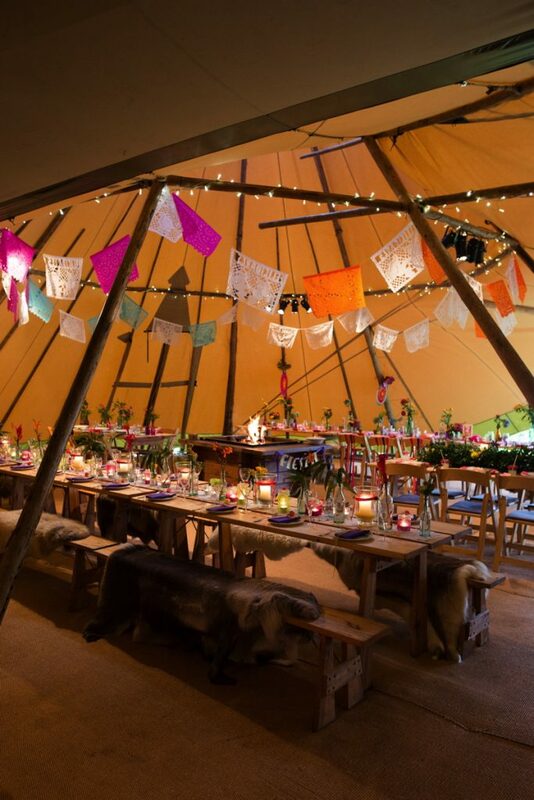 World Inspired Tents is very much at home in our directory and we love having them in the Coco Collection, you can find out more about these tipis right here.